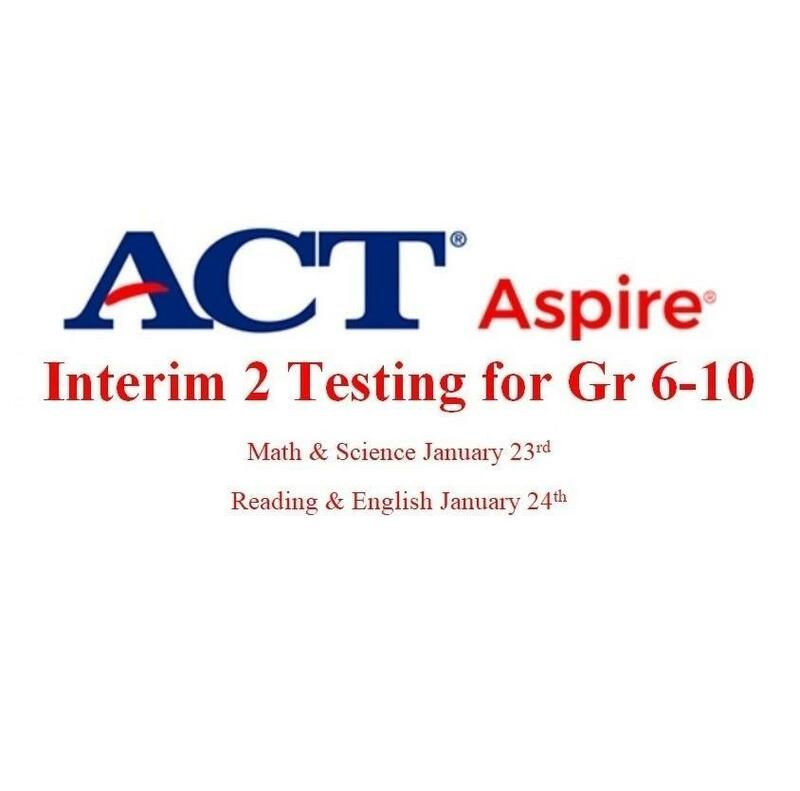 January 23-24 ACT Aspire Interim 2 tests will be administered to 6-10 grade students in the morning. Interim 2 tests dates are as follow. 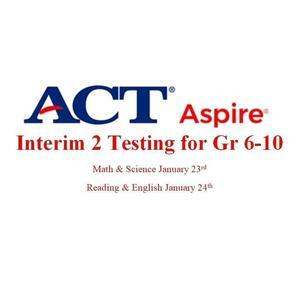 ACT Aspire Interim tests are a Computer-Based Assessment administered in grades 3-10 in 4subject areas. A. Talk to your child about any concerns they may have about the test. B. Your family should relax and enjoy the evening. C. Your child needs to go to bed on time. D. Your child should not go to bed upset or angry. E. Your child should get a full night’s sleep. A. Start your day as you normally do. B. Provide your child with a healthy breakfast. C. Encourage your child to have a positive attitude and to do his/her best on the test. D. Ensure your child is at school and on time everyday during testing.